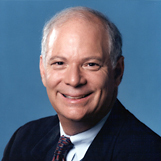 Senator Ben Cardin details the health care reform bill as it battles its way through legislation. Senator Cardin stresses that any health care bill he supports must bring down cost, be financially within reach of most Americans and be fiscally responsible. Douglas Tallman, Annapolis Bureau Chief at the Gazette, updates listeners on the latest speculation of where Lt. Governor Anthony Brown might be headed next.